LOST is unquestionably the greatest thing that the invention called the television has ever allowed us to watch. For that very reason I’ve decided to make a category on my site dedicated strictly to LOST, “The Greatest TV Show Ever Created”. Here, for the most part you’ll find top ten lists that express exactly why and how much I am in love with this epic tale called LOST. And if to justify the fact that I’ve added this category to my site (obviously a site dedicated to my love for film), I will say this. LOST is the most cinematic show in existence. If it were a movie, I’d give it an “A+”. Fortunately though, it’s not a movie, because if it were, it wouldn’t be the 100+ hour long epic masterpiece that it clearly is. LOST is a television show filled with every single thing that makes anything worth watching. 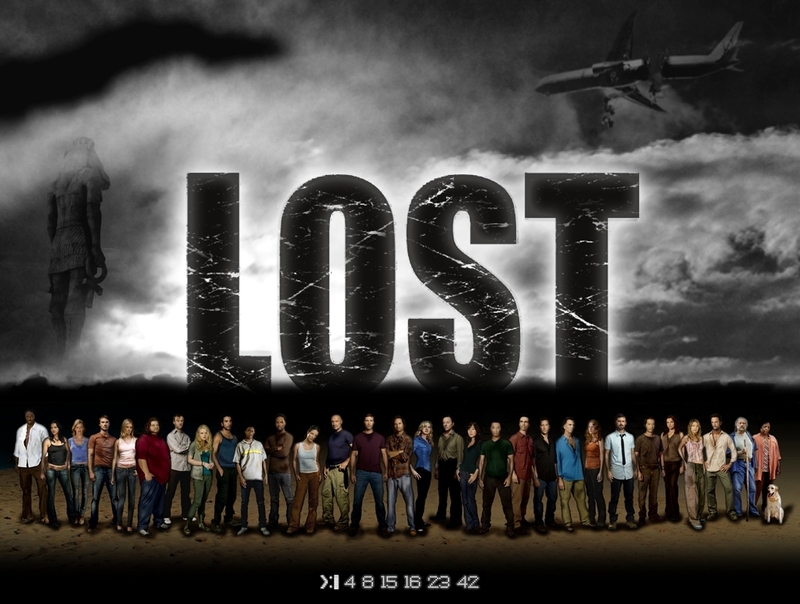 With LOST, you get friendship, love, drama, adventure, action, horror, science-fiction, philosophy, the widest arrangement of characters you would ever hope to meet whether they be good, evil or both and above all else, the show never fails to entertain and surprise until it last beautiful seconds. I’ve been watching LOST from Day 1 and I stuck with it until “The End”, never once thinking of stopping. I’ve since bought every season and yes have re-watched it and will continue to re-watch it until the day I die. LOST, like any amazing book, song or of course movie, that you love is simply a story that you get to have and hold for as long as you’re breathing. So yes, LOST is over and it has been for almost a year now, but it will live on forever as long as there are fans, like me, who never forget exactly how perfect it truly was. READ THIS IF NOTHING ELSE, IT’S IMPORTANT: The posts in the category entitled “The Greatest TV Show Ever Created” are dedicated to the show LOST and its fans. They are written by me, a lover of the show, and they will be written as if they are being read by other lovers of the show. If you have not seen the show, do not read the posts in this category. Also, don’t think that just because the show is over you can’t pick it up and start watching it now. Once again, the posts in this category will be addressing many of the essential and pivotal secrets of the show. I’m not going to waste my time and the time of other fans by posting a “!! !SPOILER ALERT!! !” before each post so consider this your first, last and only warning… !! !SPOILER ALERT!!! In no way, was that my favorite scene or anything. I just thought I should to put a little snip-bit of LOST to begin with and thought that was a good place to start. This entry was posted in All, The Greatest TV Show Ever Created and tagged Ben Lius, Benjamin Linus, Carlton Cuse, Charlie Pace, Claire Littleton, Damon Lindelof, Daniel Dae Kim, Dominic Monaghan, Elizabeth Mitchell, Emilie de Ravin, Evangeline Lilly, Henry Ian Cusick, Hugo Reyes, Hurley, J.J. Abrams, Jack Shephard, Jacob, James Ford, Jin Kwon, John Locke, Jorge Garcia, Josh Holloway, Juliet Burke, Kate Austen, LOST, Lost Show, Lost TV Show, Mark Pellegrino, Matthew Fox, Michael Emerson, Naveen Andrews, Nestor Carbonell, Richard Alpert, Sawyer, Sayid Jarrah, Sun Kwon, Terry O'Quinn, The Greatest TV Show Ever, The Man in Black, Titus Welliver, Yunjin Kim. Bookmark the permalink.